Mark attendance within few seconds and see all the history of attendance class and subject wise. 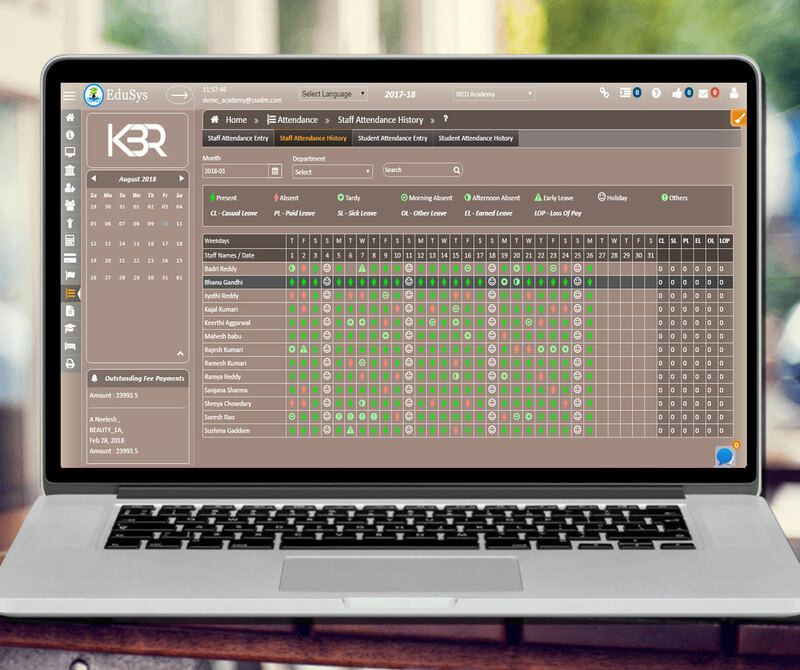 Manage and track daily attendance of both student and staff with Bio-metric Integration enables you to keep track of staff log- in/out times, average hours worked, early logout, etc. Flexible Options: Daily attendance capture tardy, medical excuses etc., can be extremely conducive in understanding the Attendance pattern of any particular student. EduSys is loaded with a unique course based attendance feature which can be captured by the respective course faculty of a class which can track the Student’s activeness and activity for the whole day. It will also help the management in tracking the progress of the faculty’s planned roster. Attendance Reports: Fast, accurate and secure, attendance tracking in EduSys keeps both students and staff on track.